…bourbon could only be made in the US and that it was “a distinctive product of the United Sates.” Marketers didn’t think that was catchy enough so now the catchphrase has become, “America’s Native Spirit.” Bourbon has always been political. The criteria mandated by Congress for a spirit to be called a legal bourbon entailed that it be made from at least 51% corn (this was the pressure from farmer’s unions) and only new American oak barrels could be used (the pressure from the cooper’s union). Not a bad way to ensure a little job security! So now the US has its own spirit, just like Mexico has tequila and Scotland has scotch. Congress then decided it needed its own month as well. Since 2007, September has been known as National Bourbon Heritage Month. I know it’s only May but I thought it would be a shame if I let the entire summer pass without reminding you of one of the best drinks to use bourbon in during the hot summer months. 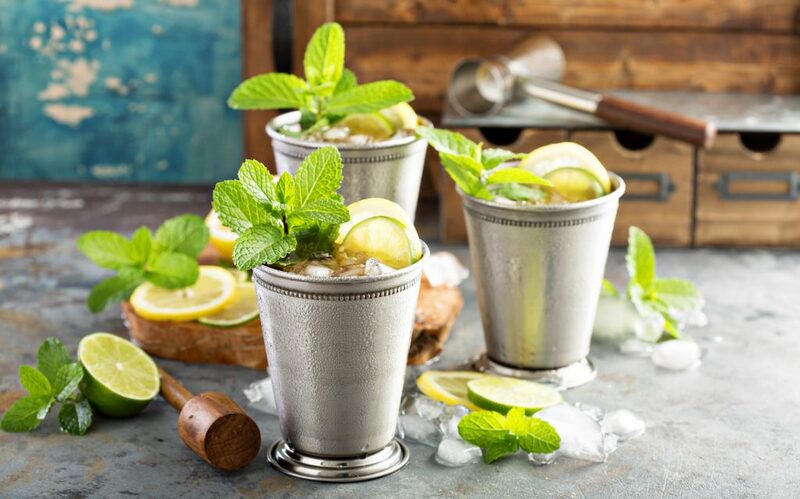 The Mint Julep is probably best known for being the official drink of the Kentucky Derby. You can use any brand of bourbon you’d like in your Julep but I prefer something full and flavorful so the spirit shows through. Using something like Four Roses Single Barrel that’s got a little extra proof on it would be a great choice. Michter’s Bourbon with its round richness would also be an obvious choice. James Pepper’s Bourbon with its punched-up profile makes a great cocktail. The idea is always to create a balanced drink. If you use a subtle spirit you’re going to end up with a flabby, boring drink. You want to use a bourbon that will stand up to and just slightly overcome the sharp mint and sweet sugar in the cocktail. 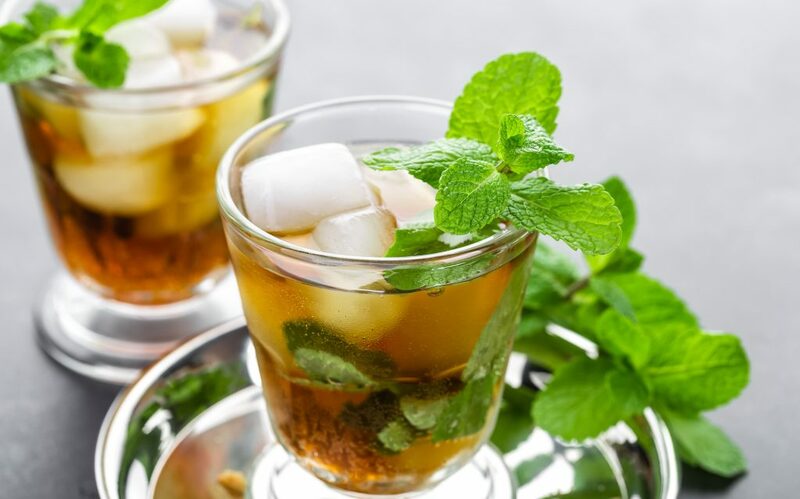 A large company that will go unnamed has, for the last 18 years, paid millions and millions of dollars to have their whiskey (not bourbon) be the spirit in the official Mint Julep of the Kentucky Derby instead of using an amazing bourbon like one of the ones I mentioned earlier. They even make a $1000 Julep using mint imported from Ireland, ice made from Bavarian Alp’s water, and sugar from Australia. It kind of seems to me like they’re losing the whole “American Spirit” theme. That being said, whether you use Do Good from California, High West American Prairie from Utah, or one of Kentucky’s finest, bourbon will always be the right choice for a frosty Mint Julep and will always and must legally be, “Made in America.” Thanks Congress!